Have you ever felt like you were in the Bermuda Triangle of Faith? Try as you might you just couldn’t find your way out? Maybe it’s a silence. A place that feels stagnant. Like nothing is moving and you just can’t see ahead or even where you’ve been so you could back track and find your way home again. You were just lost. Well recently I have been there. For a long while actually. Until now I had been going to college since 2008 and I was working on my second Bachelor’s degree when the pressure became too much for me and I knew I needed a Sabbaths rest from school for a while. I also gained a tragic case of writer’s block where I couldn’t write not here nor there nor anywhere. And in my devotional time with God He remained silent. Until today. Suddenly a breeze blew in and I heard a word that it was a time to heal. I got my word for the year, healing or whole. I had much healing I needed to take time out for, but all the busy work in my life was preventing me from receiving it. I don’t do rest well. The quiet disturbs me. It makes me listen to the aching of my heart and soul. And so I wondered if it may be that is also your time to rest or time to heal? Are we both faced with to heal or not to heal? Are you allowing God access to your heart and soul? I know healing can be a scary thought. The process can be painful. No one wants to face pain in their lives. But we can’t go around dragging our brokenness through life because healed is Gods will for us. Wholeness is his plan for us. He is in the restoration business. We are the clay in His, the Potter’s hands. So I’m willing to lay down by defenses and raise up my heart to Him, bare my soul to my maker, and allow Him to come in and work His healing in me. Could and would you do the same? 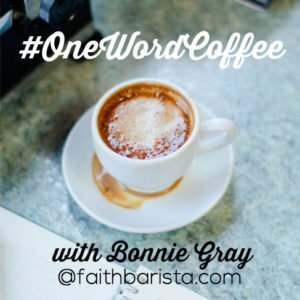 Please stop by my friend Bonnie’s Blog where we are serving up a word for your soul. Just click the link below and enjoy. #OneWordCoffee ☕️ A simple invitation to create a new rhythm for your soul. To stop and pause. And enjoy quiet conversations with God and each other.